Hover over the map to view details about each area. Sales data was collected and aggregated over the last 6 months from multiple online / offline sources for all types of residential units (semi-detached, single-detached, other housing, apartments/condos). The top 10% and bottom 10% were omitted from final averages. The distribution of homes vs. apartments/condos was provided by the 2011 Census. The colour mapping creates a great visual for the most expensive and cheapest housing areas in Toronto. It comes as no surprise that both Forest Hill neighbourhoods have the highest price tag. Another interesting observation is Little Italy's high prices. This could be driven by a large proportion of three unit plus homes in the area that are currently selling close to $2,000,000. 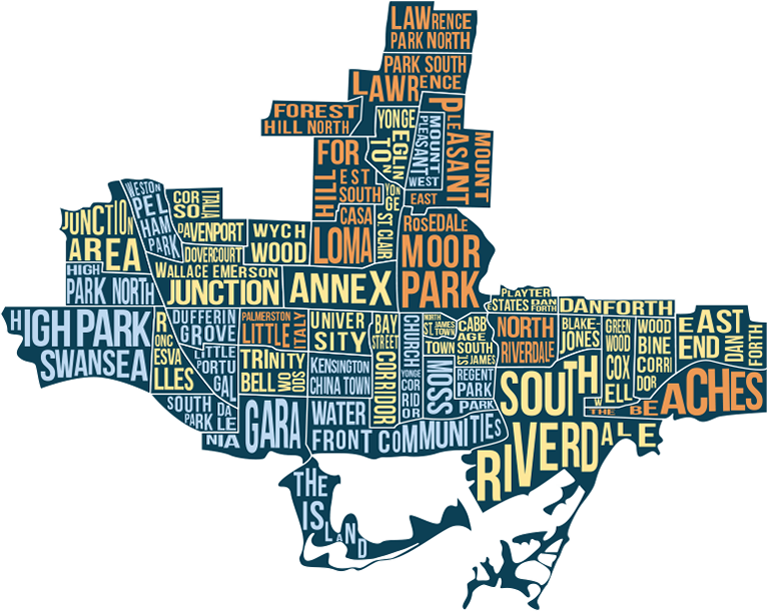 No matter what area you are looking at, nothing comes cheap - the average for all neighbourhoods in Toronto is around $950,000 for the past 6 months of sales. Check out our Toronto Subway Price Map for average prices at all TTC subway stops. Not interested in buying, our renters can check out our Toronto Subway Rent Map that shows average rents for one and two bedroom condos at each subway stop.